Ron Smith is writer-in-residence at St. Christopher’s School in Richmond, Virginia. His most recent book of poetry is Moon Road (LSU Press, 2007). He is also the author of Running Again in Hollywood Cemetery, judged “a close second” for the National Poetry Series Open Competition by Margaret Atwood. The book’s title poem was awarded the Southern Poetry Review Guy Owen Award, and the collection was subsequently published by University Presses of Florida in 1988. Smith’s poems have won Poetry Northwest’s Theodore Roethke Prize, and in 2000 his poem, “The Teachers Pass the Popcorn,” was nominated by The Georgia Review for a Pushcart Prize. More than a hundred of his poems have appeared in journals such as The Nation, The Kenyon Review, The Southern Review, The Virginia Quarterly Review, New England Review, College English, Kansas Quarterly, and in anthologies published by Wesleyan University Press, Time-Life Books, The University of Georgia Press, and the University of Illinois Press. 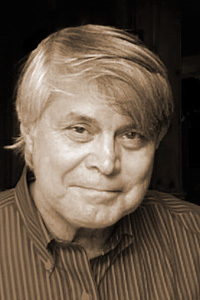 His eighteen-piece poetic sequence “To Ithaca” appeared in the Summer 2002 issue of The Georgia Review.